At the heart of Darin Morgan’s X-Files episode ‘The Lost Art of Forehead Sweat’ is the theory of Mandela effect; fondly remembering something from the past that was just a little off. 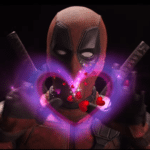 It’s a notion that could be easily attributed to not only the most recent runs of Chris Carter’s TV phenomenon, but the final few seasons of the show in its pomp. Thankfully, it is not applicable in this case, because ‘The Lost Art of Forehead Sweat’ is up there with Morgan’s own ‘Jose Chung ‘from Other Space’ (Season 3 episode 20) as being a hilariously funny, utterly stupid, classic, yes, classic episode of The X-Files. 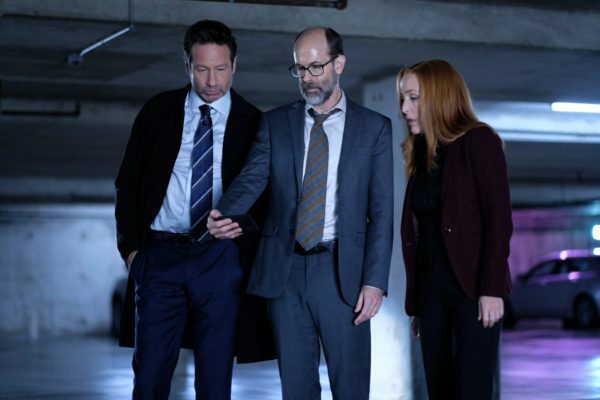 The forehead sweat in question belongs to Brian Huskey’s Reggie (excellent), who appears intermittently in the garage below FBI headquarters to corner Mulder or Scully, who he delightfully refers to as “Sculls”, in order to convince them that they used to be a team. 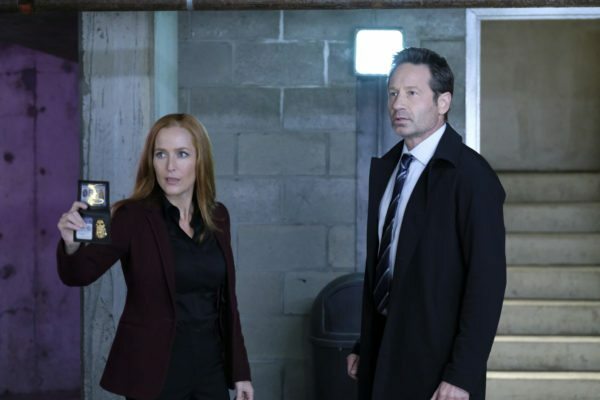 That The X-Files were never just Mulder and Scully, but Mulder, Scully, and Reggie, their memory of the cases they used to investigate having been removed by ‘They’. Not the subject of the “Who are They?” question that has become a Mulder sound bite over the years, but the mysterious Dr. They. If it all sounds bonkers, that’s because it is, in the most gloriously enjoyable fashion imaginable. 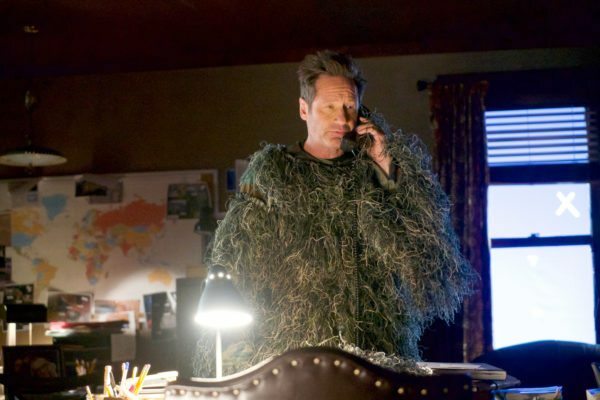 An episode that begins with Duchovny decked out in a Yeti outfit because he’s been trying to get away from the madness of the world by “Squatching” is only ever going to go one way on the quality spectrum. So we get a wonderful flashback to a young Mulder misremembering his favourite episode of The Twilight Zone, Scully reminiscing about a tri-flavoured jello mixture that doesn’t seem to exist, and best of all, a sequence in which Reggie is involved in some of the shows most iconic episodes, that will have you bent double in a fashion that only Eugene Victor Tooms could achieve. Morgan doesn’t abandon the series social commentary though, which has successfully permeated this most recent iteration of the show from the off, all for the sake of silly giggles. Which means we get a great Trump inauguration gag, one of many about the current administration, and a nod towards sexism in the workplace, all in a post-modern, post conspiracy, “poco” classic episode of a series few thought could capture the magic once again. Really, Matt? A “hilariously funny classic”? “Gloriously enjoyable”? It was so silly, childish and juvenile, I could hardly watch it. A far cry from the intense season premier. If it’s going to be a spoof of itself now, I can’t be a fan anymore. Did you feel the same way about similar episodes during the The X-Files initial run? They were littered with ridiculous episodes. Even last season, which was pretty terrible, had Mulder and Scully meet the Were Monster, which I loved. I like the conspiracy eps as much as the comedy ones. Maybe they stand out more because the seasons are shorter? I found it disjointed and smug. I agree with Matthew, while VERY silly, it really brought me back to the feel of the X-Files that I thought was gone forever. While I do want to some serious episode arcs, this show needs to have these one offs that give you a break. I hope for several more before we are through. Really stupid and bad episode. I’m done with the X Files.